Do you want to design a case for the iPhone? No problem thanks to Apple! 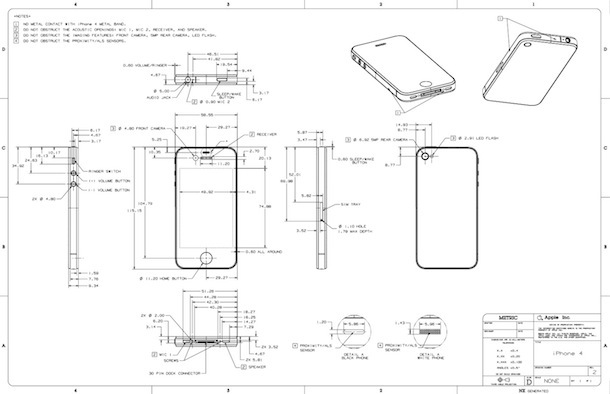 A new page on Apple’s developer website contains full dimensional drawings with all the measurements necessary to quickly and easily design a case for the iPad, iPhone, or iPod. There are over 25 dimensional drawings of the iPhone/iPad/iPod product line to help you get started. Even if you’re not a designer looking to create the next coolest iPad case they are still fun to look at the detailed pictures. Apple never ceases to amaze me, their entire product line emphasizes creativity and then they take it a step further by doing things like release these drawings, making it even easier to create for their product line-up.